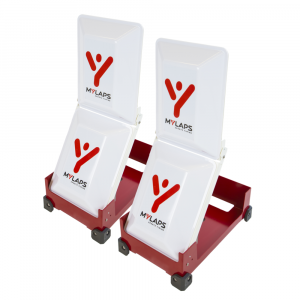 The BibTag system is the MYLAPS solution suitable for mass events with affordable chips and the highest read-rate in the industry. 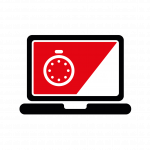 Are you timing events that ask for disposable tags? 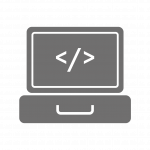 BibTag is your solution. 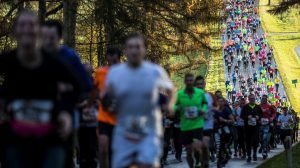 Timing a running event, whether it’s a small event or a major, is a challenging task. 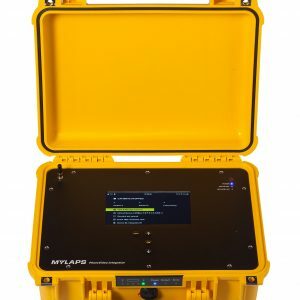 You only want the best equipment with the highest read-rates and the best accuracy. 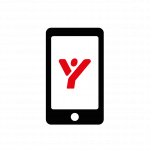 The MYLAPS BibTag System is the best in the market for the job, check-out the setup and add services to give your participants the best experience possible. 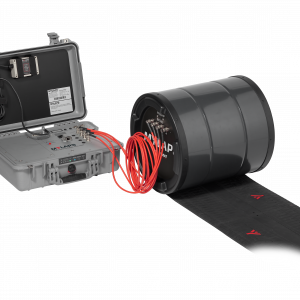 The decoder is attached to the mats and decodes the BibTag signals into the athletes IDs and their measured times. 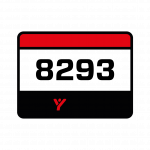 Portable decoders have an integrated battery and can measure up to 50 BibTag passings per second. 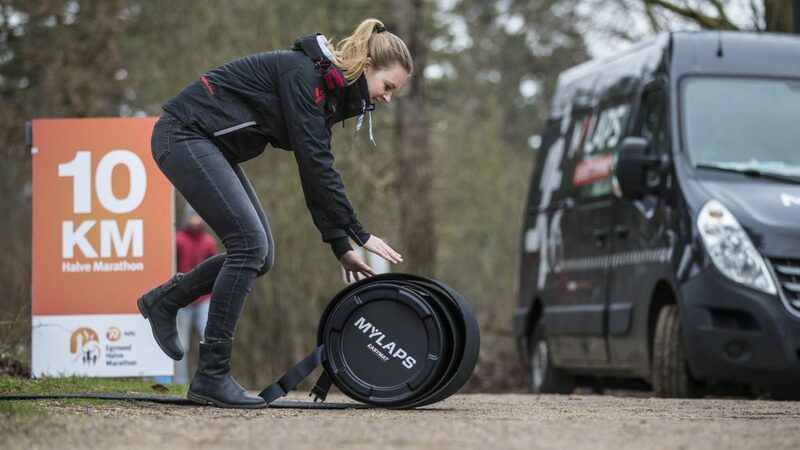 The system is especially designed for mass events and can handle a high density of athletes. Detection mats are placed at the start, finish and split timing locations. 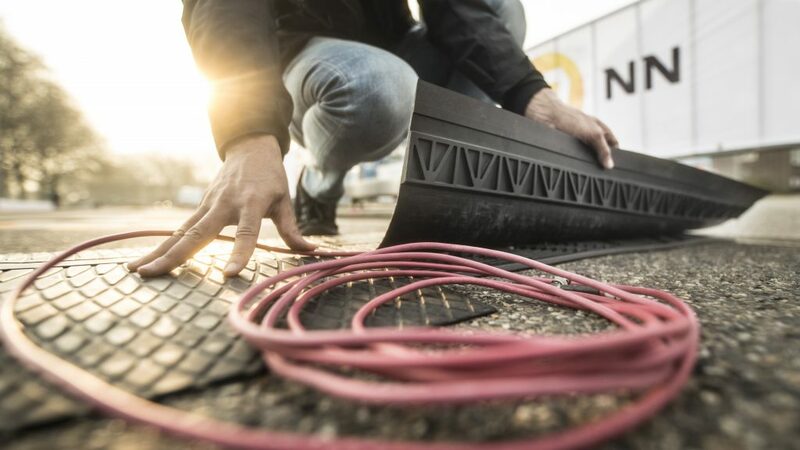 The mats serve as the system’s antennas and detect the signals sent out by the BibTags. 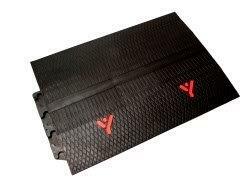 We offer modular mats that allow you to create timing locations between 1 and 8 meters wide per system. 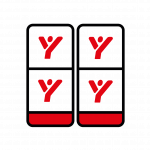 The BibTag system comes with different tags. 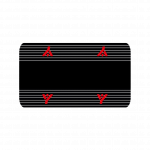 These tags are designed for example for different weather conditions or types of sports. 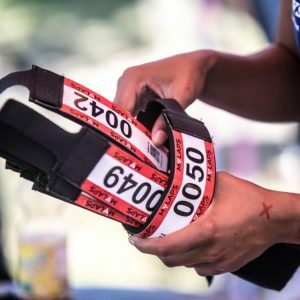 Pick the tag that suits your needs best and your timing system is ready for your next event. 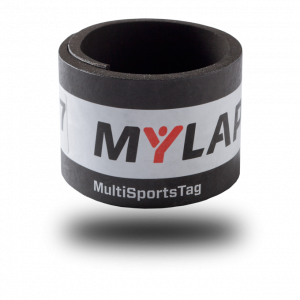 The MultiSports Tag is designed and optimized for triathlons and mud runs and works with the MYLAPS BibTag timing system. The tags can be worn under a wetsuit: results are guaranteed since they have 3 integrated timing tags. The SeatPost Tag is the most elegant cycling tag in the industry. It’s designed to be user-friendly, accurate and according to the proven BibTag technology. Only compatible with SideAntennas. 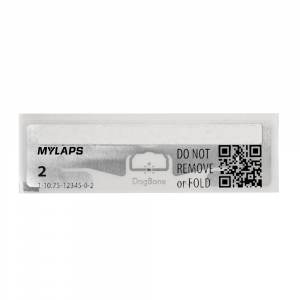 The innovative design and strength of BibTag hardware provides you the best read rates in the industry with a single ThinTag and standard SideAntenna setup. The SideAntenna frame stands low on the ground and the antennas allow you to place your BibTag decoder on the back of the frame making the setup compact and easy to handle. For different sports we have different solutions. Choose the tag that suits your event best, based on the sport, the size of the event and the setting in which the event is held. 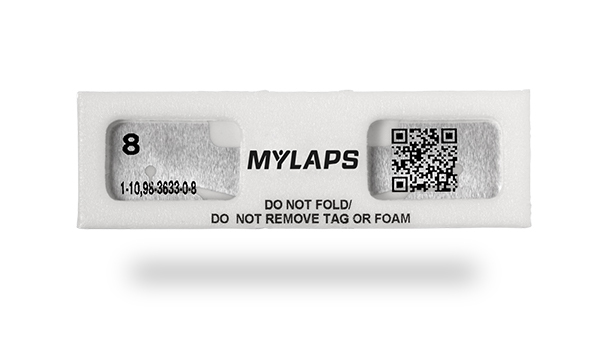 MYLAPS BibTags are the world's standard in sports timing tags and require only one tag attached to the bib. 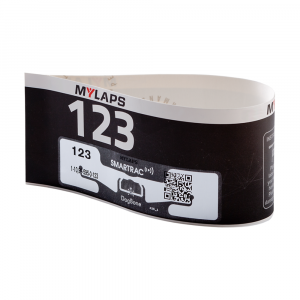 BibTags are easy to use, for athletes and for race organizers. 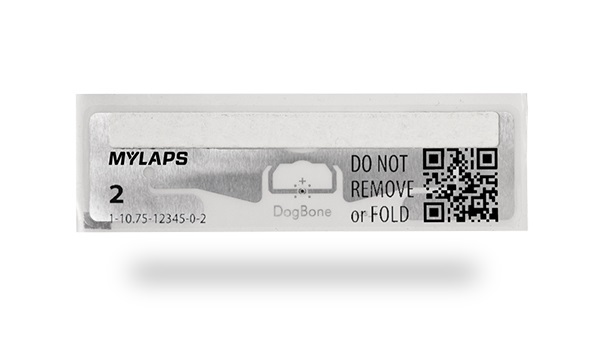 The UHF timing solution with 1 tag and a thin spacer to save on expo space and shipping costs. 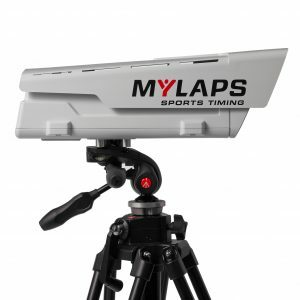 The MYLAPS ThinTag is unique in the sports market and uses patented technology. 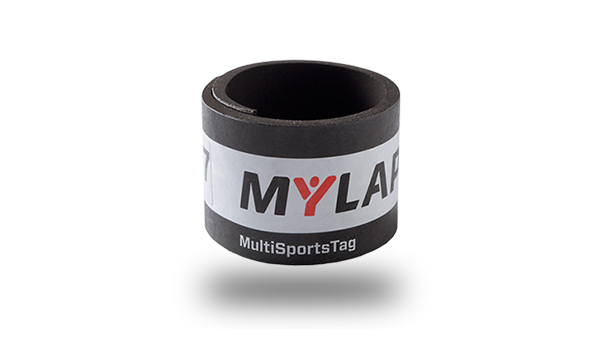 The MultiSports Tag is designed and optimized for triathlons and mud runs. 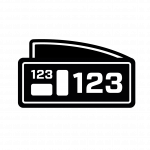 The tags can be worn under a wetsuit: results are guaranteed since they have 3 integrated timing tags. The SeatPost Tag is the most elegant cycling tag in the industry. It's designed to be user-friendly, accurate and according to the proven BibTag technology. 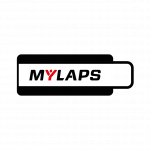 MYLAPS offers various timing systems and services to enhance running events. 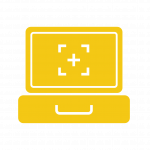 The BibTag system, for instance, is perfect for mass events. 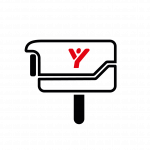 It requires minimal handling and logistics with disposable chips on the bib and offers the highest read rate in the industry. There’s a huge variety in cycling races. Recreational events like cyclosportives are popular and gaining in popularity all over the world. 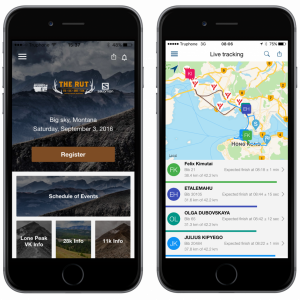 When you organize a large recreational cycling race the BibTag System is perfect. 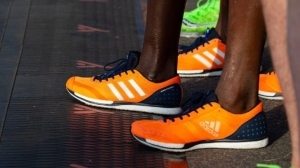 It can easily handle tens of thousands of athletes at the same time. 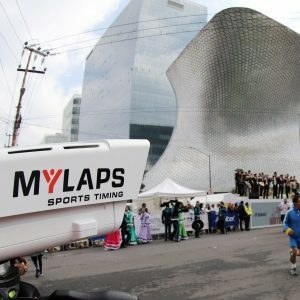 Triathlons, duathlons and other multisport events are tough in every aspect. For event organizers as well as timekeepers, it is hard to make everything work. 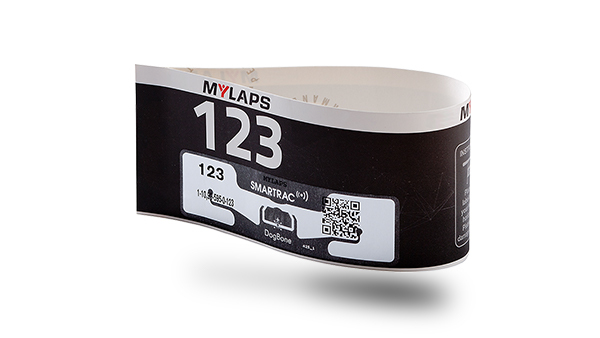 For events with many participants, the BibTag system in combination with the MultiSports Tag is well suited. 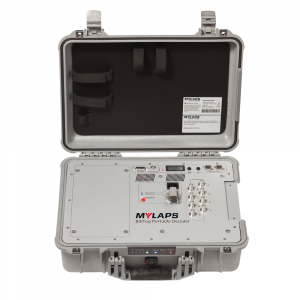 This year the Boston Marathon once again relied on MYLAPS technology. 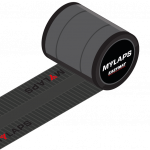 All runners wore bibs with the new MYLAPS ThinTag, a lightweight RFID solution that’s detected by detection mats on the course. 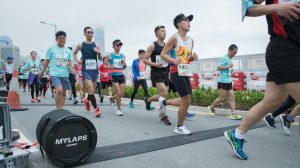 The EventApp calculated the runner’s pace.